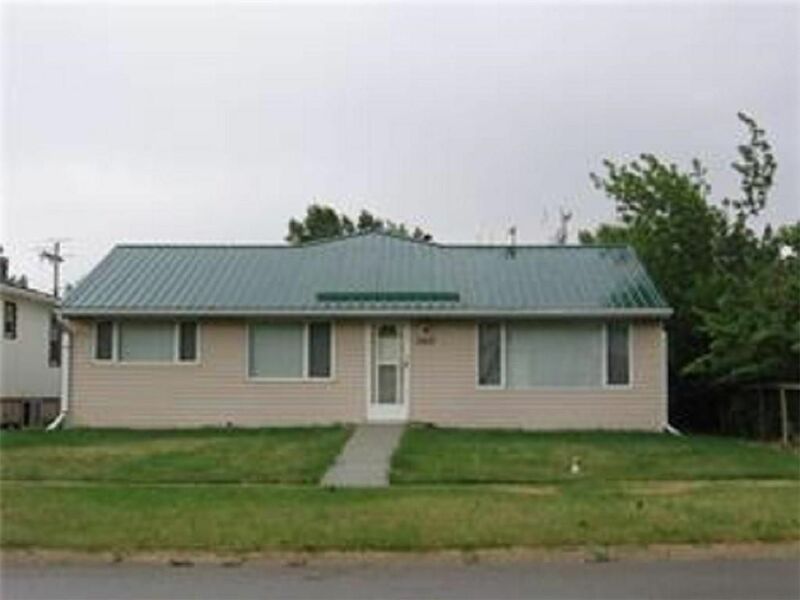 This completely redone 2 bedroom bungalow is located in Stavely. New almost everything, high efficiency furnaces, hot water tank, eavestrough, cement patio, natural gas fireplace, air conditioning, linoleum, windows, metal roof. Includes washer, dryer, 2 ceiling fans, stove (electric) fridge, Jacuzzi tub. This home was moved onto a new cement 4 foot crawlspace. The garage is 32 ft by 50 ft and includes a Mancave of all Mancaves! There is really nothing to do, but move in. Stavely is a wonderful community with lots of activities and friendly people. Located just 1 hour south of Calgary and 1 hour north of Lethbridge on highway #2.